Orticola is an historic association with birth on 1854. On December 16th 1865, the act for the foundation of the “Società Orticola di Lombardia”, modelled on the “Société d’Horticulture de France”, was signed in Milan. The intention was to pursue the culture of the beautiful and the protection of the natural territory. A new four-year seasonal meetings of Study Days will be developed following the first Study Days project, a four-year cultural program finished at the end of March 2015. A new series of seasonal meetings will begin in April 2017, in which illustrious members from the world of plants and gardens will discuss contemporary themes to answer the needs of an ever-growing interest. A series of seasonal meetings, Orticola Dialogues started in autumn 2016. The project “let’s look after our historic garden” is involving volunteer gardeners with the association Milano Altruista, a maintenance work performed by our volunteer gardeners. “The philanthropic actions of the Lombard Horticultural Society are made possible by the profits from the Orticola Flower Show through the commitment of its councillors and volunteers. The overall proceeds of the show are destined for socio-cultural initiatives and projects for improving the city’s green spaces in collaboration with Milan Municipality. The price of the ticket makes the organisation of such an event possible. The councillors of the Lombard Horticultural Society work free of charge, as volunteers, in the programming, conception and creation of the show. The knowledge, experience and ethical commitment of the Lombard Horticultural Society is completely at the service of the community and urban open spaces”. 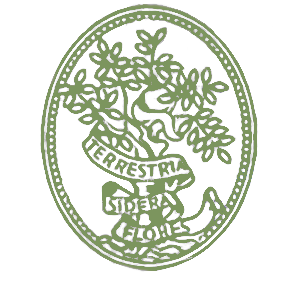 Orticola has always been active in promoting the culture of gardening, and intends to continue the work of raising awareness and lending a hand, not only in open spaces in general, but particularly those in the city. At the same time it tries to arouse a civic sense in the Milanese, by making them aware of the need to live in harmony with nature. Orticola’s commitment to the city’s open spaces remains constant. for the Indro Montanelli Gardens, maintenance of the lake surrounds and in 2015 for the project “let’s look after our historic garden” involving volunteer gardeners with Milano Altruista. for the Orticola’s Viridarium inspired by roman gardens, bringing back in public parks a courtyard of the Royal Palace. The project integrates for the first time a botanical path at the Royal Palace, to complement the remarkable exhibition “Myth and Nature” – from Greece to Pompeii -. for the Futurist Boccioni Garden project, inspired by the art of the Master, at the Royal Palace. for the flowery meadow sown in the medians of Piazza Monte Titano, one of the entrances of the city. for the vegetable Flowery Garden made by CityLife in collaboration with Orticola di Lombardia and Cascina Bollate. for the scheduled maintenance of the Perego Garden adopted by Orticola in agreement with the Municipality. for the second courtyard of Palazzo Reale – now Giardino di Palazzo Reale -, a definitive project which brought back this area to public green, thanks to Orticola. for the second cycle of Orticola di Lombardia’s Study days, conferences with an annual frequency and with free admission, scheduled from 2017 to 2020.
for the expansion of the CityLife’s district Flowering Gardens in collaboration with Orticola di Lombardia and Cascina Bollate. for the spring and autumnal educational 2017 meetings at the Perego Garden and at the CityLife Gardens for citizens willing to deepen their knowledge about plants, the art of the garden, the vegetable garden and the landscape. for the arrangement of the Fawns flowerbed, in front of the Civic Museum of Natural History of Milan, with the help of the Cascina Bollate nursery. for the Garden of the Palazzo dell’Arte – Triennale Design Museum. for the Scuola dell’infanzia (Childhood school) 30 Savona Street, a permanent outdoor exhibition of art work named “Dove sei, Dove abiti” (Where are you, Where do you live) by Claudia Losi, for the Orticola Arte project. for the installation of the renewed information boards at the entrances of the central Public Gardens in Palestro Street. for the staging and furnishings of the main courtyard of Villa Reale, the Gallery of Modern Art in Milan. for the spring 2018 educational meetings “Stroll in the Perego Garden”. for the planting of The Matrix Garden Plants at the Perego Garden. The resources of 5 Flower Shows benefited Perego Gardens for five years. 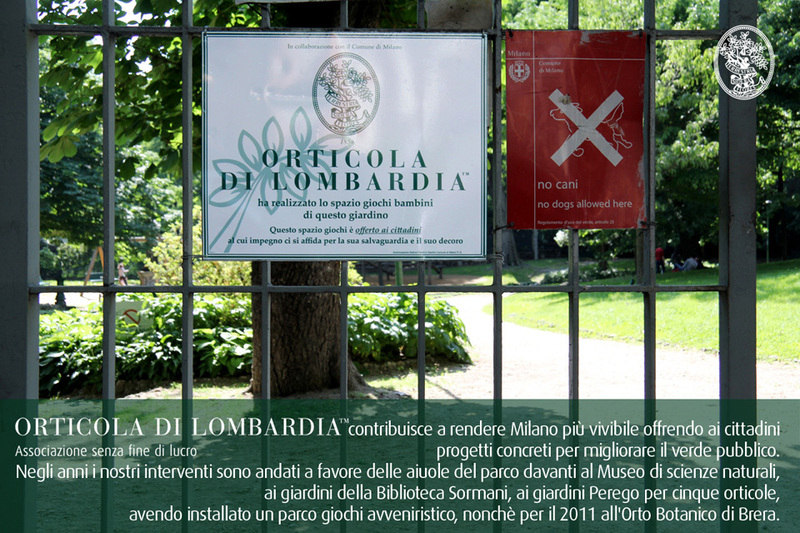 The Lombard Horticultural Society and Milan Municipality, working side by side for years on the development of green areas in the city, have signed a three-year agreement providing for investment of the proceeds from the historic show in the Montanelli public gardens in projects for public open spaces. In May 2014 Gianluca Brivio Sforza, President of the Lombard Horticultural Society, and Chiara Bisconti, Environment Councillor for Milan Municipality, signed a three-year agreement providing for the investment of the proceeds from the historic show in the Montanelli Public Gardens in projects to provide new public open spaces and to improve existing ones. “This is an important agreement”, declared Chiara Bisconti, “which could become the model for future collaboration with other private parties. Orticola is a historic show, we have recognised its cultural value and with this agreement we give precise guarantees to the organisers of the shows for the next three years, especially 2015 which will be particularly important due to its concurrence with Expo. I would like to thank President Brivio Sforza and the Lombard Horticultural Society for the awareness demonstrated as well as their passion for this city which they have lavishly dispensed for twenty years. In the agreement we predict increased collaboration in all the many cultural events linked to the environment together with the municipal museums”. The use of the Montanelli Gardens is guaranteed to Orticola for three years under the same conditions as at present. Any profits from the show will be invested in the enhancement and maintenance of Milanese public open spaces, by proposing specific projects of sponsorship to the Municipality following the procedure already in use for all the adoption programmes and care of the city’s green areas. Orticola will also guarantee a series of discounts for admission for the next three years: tickets bought on-line will not cost more than 9 euros, while admission will be free for school children and under 16s. The agreement is of great importance to both parties, in that it could become the model for future collaboration between public and private entities of recognised cultural worth.